At each level of development at Parkdale Montessori School, the children are offered a wealth of purposeful activities in an atmosphere of freedom, joy, cooperation, and respect within a Montessori learning environment especially designed to meet their needs and interests. At Parkdale Montessori School, there are prepared environments for children at each successive developmental plane. 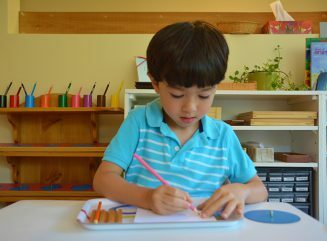 Our Montessori learning environment is much different than the traditional model of education. This environment provides children with the opportunity to respond to their natural tendency to learn and work. It also allows children to take responsibility for their own education, giving them the opportunity to function independently and within a community. Instead of information passing from the teacher to the student, the teacher puts the child in touch with the environment, and helps him/her make intelligent choices, explore, and carry out research. Children learn to read, write, and calculate in the same way that they learn to walk and talk – one experiential step after another, teaching themselves. This fosters a love of lifetime learning in the student. Our Montessori classrooms are geared to the size, pace, and interest of children. They offer space for movement, for individual work and for small group activities. Each classroom is designed to facilitate maximum independent learning and exploration, and has a full range of AMI-approved Montessori educational apparatus for the appropriate age level. These specifically designed materials are sensory-based, self-correcting, arranged according to subject area, and neatly placed on low and open shelves within easy reach of all children. 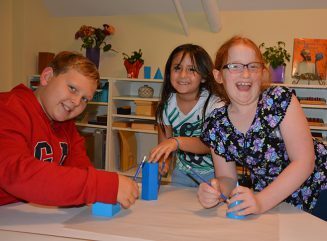 At each level, the Montessori learning environment is designed for mixed-age group. This provides an opportunity for younger children to learn from older peers, while older children gain satisfaction in sharing their knowledge while reinforcing their own learning. In most traditional learning settings, teachers are given a curriculum which all children follow together at the same time. The curriculum is structured with little regard to the children’s individual interests and abilities. The Montessori Curriculum is different. It is designed to help all children reach their fullest potential at their own unique pace without feeling “behind” or “ahead”. Our curriculum is geared to children who have varying abilities, in a community in which everyone learns from one another and everyone contributes. 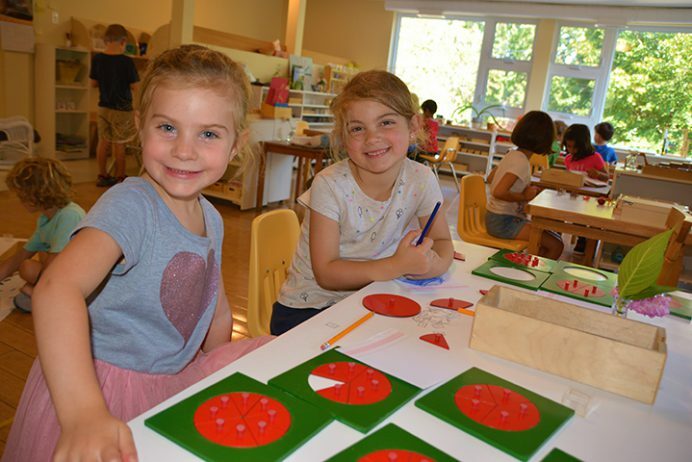 Our Montessori program is introduced to each child by a Montessori-trained teacher through one-on-one or small-group lessons called “presentations”. Presentations of new activities are introduced based on each child’s developmental level. Once children have been introduced to a new activity, they are free to engage with this particular material on their own, for as long as they want and as often as they wish. Presentations are reintroduced if necessary. Over the course of the program, children are introduced to presentations with increasing degrees of abstraction and complexity. Presentations are shown based on each child’s interest and readiness. Sometimes, they arise spontaneously when the child makes a discovery. Children with a high level of ability are constantly challenged by the wide variety of materials and their many uses. Presentations are also modified at times depending on a child’s learning style. Subject areas are integrated throughout the Montessori curriculum rather than being presented as separate disciplines. We offer a bilingual learning environment at each level (i.e. English and French). In the Toddler community, French is conversational. In Casa, we focus on oral French as well as vocabulary building through visual materials, manipulatives, classified cards and themes. In Elementary, students are exposed to advanced French (oral, written, reading comprehension, grammar, syntax, research, projects, etc.). Parkdale Montessori has two extended uninterrupted time periods for the children to engage freely on tasks and absorb themselves in their activities. This leads to deeper learning, higher concentration, and a great sense of accomplishment. The children are encouraged to explore their environment, express their ideas, collaborate, and help others. They are free to choose their activities on their own, to learn independently and at their own pace, and to engage in activities for as long as the material holds their interests. The children develop physically, socially, intellectually, and creatively within a joyful environment. 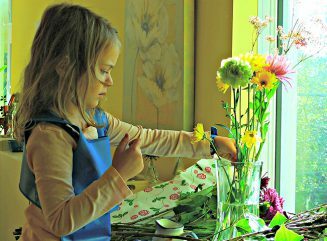 Montessori children often refer to the various activities of the classroom as “work”. Children are free to “work” either at small tables or on mats, wherever they feel the most comfortable. When the children have completed an activity, they return the materials to the shelf, ready for the next child to use. Children are encouraged to experiment, investigate, make wise choices, solve problems, and be self-reliant. The children enjoy a great deal of independence, as well as freedom of movement and choice. Of course, freedom exists within defined limits of appropriate behavior, and is balanced with responsibilities. This freedom in a safe space is crucial to Montessori program. However it is always tempered by two important limits that will be beneficial for a lifetime – respect for others and respect for the environment. 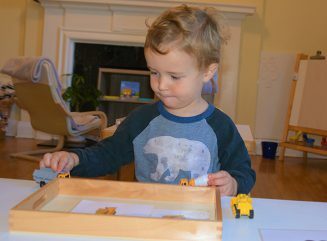 Every environment, at each level of development, is directed by a professionally trained Montessori-certified teacher. Our teachers facilitate learning by preparing the classroom environment and directing the children to purposeful activities which are appropriate for their specific age, abilities, needs and interests. They know when to give a lesson, reinforce presented information, or when to move on to the next challenge. They also know when to step in, set limits or lend a helping hand, and when it is in the child’s best interests to step back and not interfere. Through observations, our teachers guide students to new and challenging materials. They also recognize and accommodate different learning styles. Our teachers carefully monitor each child’s progress and keep meticulous records of each child’s presentations. Montessori teachers play an unobtrusive role in the classroom. They act only as guides, facilitators, and interpreters of the children’s needs. Our teachers also maintain a positive Montessori learning environment where each child is and feels respected.